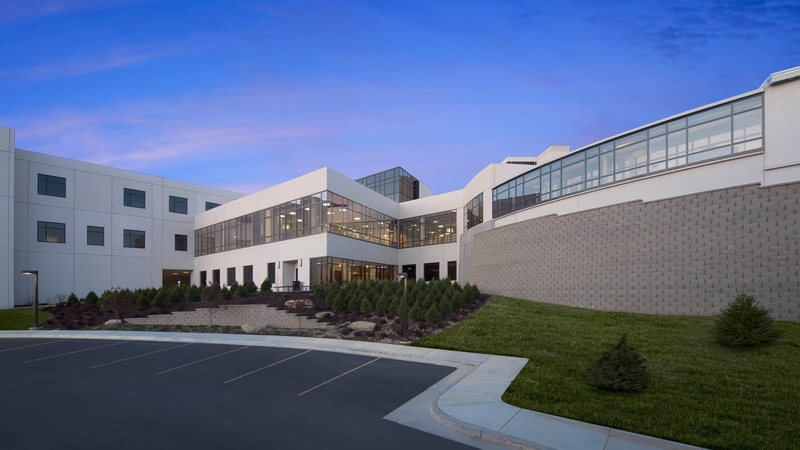 Campbell County in northeast Wyoming awarded TMP the design of a $55 million addition and renovation totaling 173,000 sq. ft. The project consisted of many components, including the addition and renovation of administrative and medical space, the design of an elevated helipad, the expansion of a powerhouse, and the addition of a new parking structure with an enclosed pedestrian connector to the new main lobby. This major overhaul greatly improves the quality of healthcare that the county is able to offer this rural community. The addition of four new operating rooms, an endoscopy suite, and same-day surgery space. Shell space and future floor construction will accommodate potential expansion. A relocated and expanded lobby space detailed with regional granite tile and stone accents. An eleven-foot high curtain wall with an operable shading system allows abundant natural light into the space. An open-riser monumental stair with granite slab treads that leads from the lobby to an expanded dining area; a coffee shop is located off the main lobby.